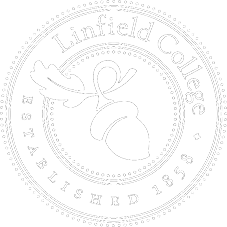 High school seniors who win at debate and speech are eligible for Linfield College scholarships at the 83rd annual Craig Singletary High School Forensics Tournament, held at Linfield’s McMinnville campus Feb. 2-3. Approximately 350 high school student speakers from more than 25 Oregon and Washington high schools will compete in the Singletary tournament. The tournament will offer four preliminary rounds as well as semi-final and final elimination rounds of Oregon-style cross-examination policy debate, Lincoln-Douglas debate, public forum and public debate. Competition will be offered in 11 individual events, including extemporaneous, after-dinner and expository speaking, and dramatic and humorous interpretation of literature. 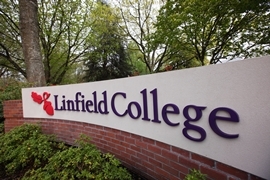 First-place finishers in senior level debating and speaking events at the tournament will be awarded the Linfield Scholarship for Speech and Debate. Each scholarship is for $1,000 per year, renewable up to four years, for students who are subsequently admitted and enrolled at Linfield. This is the second year the competitive scholarship award has been offered at the Singletary tournament. The tournament, one of the oldest high school invitational tournaments in the nation, is sponsored by the Linfield College Forensics Program, the Oregon Alpha Chapter of Pi Kappa Delta and the Department of Theatre and Communication Arts. The tournament honors Craig Singletary, Linfield professor emeritus, and his work with forensics and speech communication in the Northwest. He retired from Linfield in 1993 after 33 years of teaching. The name also honors Craig’s wife, Nancy Singletary, who assisted with tournaments even after Craig’s retirement. The entry deadline is Tuesday, Jan. 30, at 5 p.m. Community judges are welcome. For more information or to volunteer to serve as a judge, contact Mary Lynn Veden, visiting professor of theatre and communication arts and director of forensics, at mveden@linfield.edu or 503-883-2623. This entry was posted in Campus Events, Press Releases and tagged Craig Singletary, Craig Singletary High School Forensics Tournament, Linfield College Forensics Program, Mary Lynn Veden, Pi Kappa Delta, Theatre and Communication Arts. Bookmark the permalink.